The appointment today of Australian Sports Foundation chairman, Mark Stockwell, as co-Mayor of the Gold Coast 2018 Commonwealth Games Athletes Village is recognition of his tireless work for sport both at an elite and at a grassroots level. Stockwell will be joint Athletes Village Mayor with champion cyclist, Sara Carrigan, when the Village opens for athletes arrivals on March 25 ahead of the Games on April 4-15. Sports Foundation CEO, Patrick Walker, said few Commonwealth Games gold medal winning athletes have been able to successfully transition into the top end of sports administration. “The Sports Foundation congratulates Mark on his appointment. He is an ideal choice as co-Mayor with Sara,” said Mr Walker. 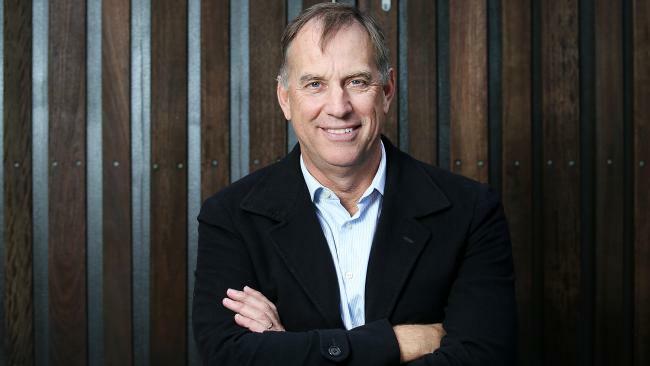 “Mark has enjoyed a remarkable career as an Australian Olympian and Commonwealth Games swimmer before taking on a variety of leadership roles in sport, including Chairman of the Gold Coast Commonwealth Games Bid team. “Since the successful Bid, Mark was appointed chairman of the Sports Foundation in 2014 and has overseen a remarkable transformation which has seen total monies raised for sport, via the Sports Foundation, grow from $17 million per annum to $44.75 million last year. “These donations are essential for the continued development of sport in Australia,” he said. “Importantly, 61% of donations last year were made to grassroots and community sport. This is where our future Commonwealth Games athletes are nurtured, developed and identified. “There are members of the 2018 Australian Commonwealth Games team who have benefited directly from the Sports Foundation fundraising, via their own athlete projects, or indirectly from monies donated to their National Sports Organisation,” added Mr Walker. The Sports Foundation has Deductible Gift Recipient (DGR) status and is the only sports body in Australia that can provide tax deductions for donations of $2 or more to sports projects.